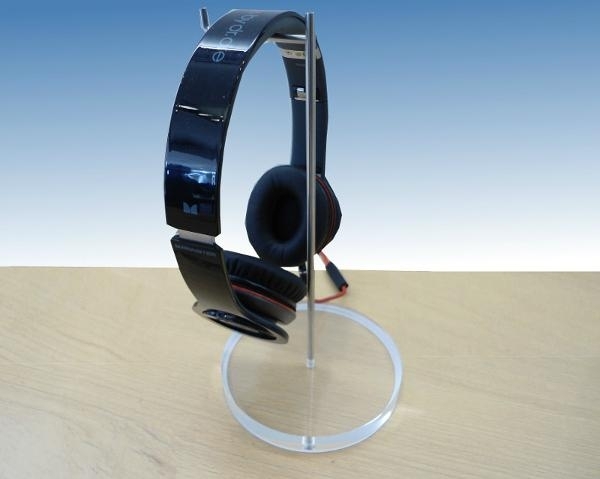 The Headphone Stand is constructed from 1/2" clear acrylic and stainless steel arm. Now your headphones will be easily accessible and your workspace will have the professional look of the Apple Store. Bring the Apple experience home with our new Headphone Stand.